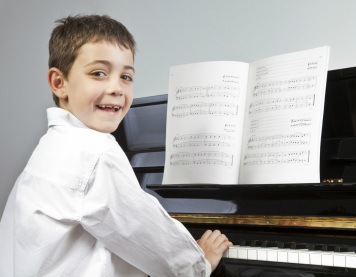 ﻿﻿​YOU CAN LEARN TO SING & PLAY THE PIANO! The Champaign School of Music offers a unique combination of voice and piano in a private lesson format. Singing and accompanying yourself on the piano is so much fun and this combination works! Students are motivated and happy because they are playing their favorite songs. Parents are happy because their children like to practice. Students have the option of performing songs in our recitals. (The recitals are fun and low pressure. We encourage you try!) Lessons will be personally designed for you. Our teachers are college educated, music teachers and musician who are friendly and warm and who remember how much fun it is to discover music. We make it a priority to get to know you on a personal level and to become familiar with your interests, strengths, challenges and goals. We do not treat every student the same in terms of what and how we teach. Each student is an individual and we work with you to create a plan that fits your needs and musical preferences. After you learn the fundamentals, you'll be able to learn anything from Taylor Swift to music from La Boheme! You will love voice lessons at the Champaign School of Music! Its easy to get started. Lessons are on a first come - first serve basis. ﻿Start Voice & Piano Combo Lessons Today! Like any sport, their are basic drills and skills you will want to attain in order to play the music you love and have fun doing it. Your teacher will help you develop your tool box of basic skills according to your goals. Your tool box may include: reading, writing, technique, theory, transposition, improvisation and scatting. And, you will still incorporate your favorite songs into lessons. You do not have to have a piano at home to take lessons. A simple full size electronic keyboard will suffice for the first 6 months. When you are ready to get a piano, your teacher will recommend some good brands and give you a checklist of things to look for. You will never be required to perform however, there are many benefits to sharing your music with other piano students, family and friends. Your practice is more focused when you have a short term performing goal, you develop rich friendships with other students who are learning just like you. You acquire complimentary life skills such as comfort in front of an audience. Though not required, you will have the opportunity to sing in fun, relaxed recitals and master classes. AT WHAT AGE CAN I START VOICE & PIANO COMBO LESSONS? You can start voice lessons between 5 years and 104 years. Prior to 5 years old, our Early Childhood Music Program - Music Together (R) is recommended. After 104 years, we are not sure what to recommend. We are just south of the intersection of Duncan and Kirby. Just south of County Market, turn onto Watterson and then immediately right into our parking lot. and beyond know that music classes at the Champaign School of Music are fun and inspiring!